Listening to music on a long drive is on top of a truck driver’s to-do list but, learning about other cultures, conversing with other drivers and storytelling create the ultimate fun trip for any driver. Don’t get us wrong, you may like your quiet but when you have thought about everything you can, over and over again, meeting another truck driver over a CB radio is the best thing you can do for your soul. 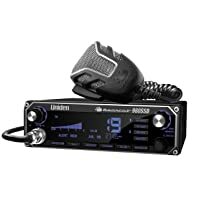 So, which is the top 2019 CB radio for truck? Automatic channel scanning. This radio lets you automatically scan all the forty channels as it searches for transmissions, only stopping when it detects radio activity. It also gives you automatic access to 10NOAA weather channels. This channel alerts you in case of severe weather conditions within your area. With this channel, you will receive all weather news 24 hours a day from all the 50 states. It is easy to use, thanks to the enormous multi-color display which offers information on the radio functions. You can set it to any of the four colors. Though bright, you can dim the display colors at night. Cobra 29 LX 40 also comes with a radio check diagnostics that gives information about the critical aspects of the radio like the RF power, battery voltage, and the antenna’s condition. It also has a PA function, and so, you can use the radio as a PA speaker. It receives signals which you can monitor through the PA system. You will also like the PA’s memory channel that lets you store up to 10 of your frequently used channels. It also comes with a clock, timer, and alarm, handy tools for truckers. The generous nine-foot microphone cord enhances the radio’s convenience while the adjustable Dynamike boosts the microphone’s function, enhancing the clarity of the incoming signals. The channel scanning and memory storage make for quick access. 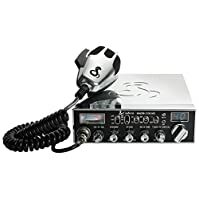 Cobra is a renowned brand in the CB radio world, and this Cobra 29 LTD CHR 40-Channel CB Radio is just one of the great ones. It has a 4-watt power output, the maximum power allowed by law for any form of extended communication. Therefore, it is one of the most powerful CB radios for use by truck drivers. It comes with a chrome cabinet and a microphone which gives this radio a unique and state-of-the-art design. The blue channel indicator is ideal for channel display in a cool blue illumination. The radio also features a Talk-Back feature that lets you adjust it to the desired modulation talk back in the speaker during transit. There is an SWR calibration that allows for calibration of the antenna system for top performance. The radio also boasts PA capability as you can use this CB radio as a public address system. You just need a PA speaker. You can also monitor signals received through the PA. Thanks to requests from professional drivers, the performance and the durability of this CB radio have improved. The Dynamite boost and the RF Gain make for loud and clear communication. For ease of use, you have the meter which illustrates the standing wave ratio of the antennae’s system. This CB radio is a must-have for truckers. 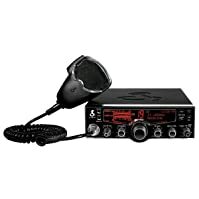 It is a 40-channel, 4-watt CB radio that works perfectly for both novice and seasoned CB radio users. You can easily install this radio in cars, RVs, and trucks. It features a CB/PA switch which lets you switch between CB and PA. You can use it as a public address system when paired with PA speakers. For clear communication, this CB radio has an RF Gain system which adjusts the reception sensitivity range. It also features the squelch control which cancels all background noises. The radio’s front panel has a locking mic connector which makes it easy to connect the microphone. It locks securely to the CB. For information about the strength of the incoming signal, you have the digital power meter and the RF output power. Midland 1001Z 40-Channel is durable, and it comes with a 3-year warranty. It is ideal for truckers as it gives instant access to Channel 9 in case of emergencies. This is one of the best single sideband USB/ LSB CB radios. It is easy to read and it as it has an easy-to-read, and adjustable 7-color display backlighting. The backlighting of the keys and the display panel give perfect viewing at night. There is a dimmer-switch as well. For sound clarity, this CB radio has noise cancellation microphones. It is also compatible with wireless microphones. It also has a squelch control that gives a high signal clarity. There also is a mic gain 4-position control. The mic has an ergonomic grip that offers a high level of comfort. You can run radio diagnostics with this CB radio. 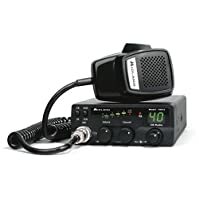 A CB radio is a necessity for truckers. The radio gives information about sudden weather changes. Since driving trucks is tiring, communicating and connecting with other drivers makes every trip exciting. The four radios reviewed above are some of the best on the market, but the winner of the best of CB radio 2019 for truck use is the Cobra 29 LX 40-Channel CB Radio. This citizens band radio is easy to use, and it gives instant access to weather and emergency channels.